A splendid half eternity wedding band, like the one seen here, is a beautiful way to make your promise of a bond that transcends time. The design of this classic piece of jewelry features a sleek shank that is draped with the sophistication of 14k white gold. Infusing opulence into this ring's minimalist pattern are glimmering lab grown diamonds that are partially bezel set on the shank. 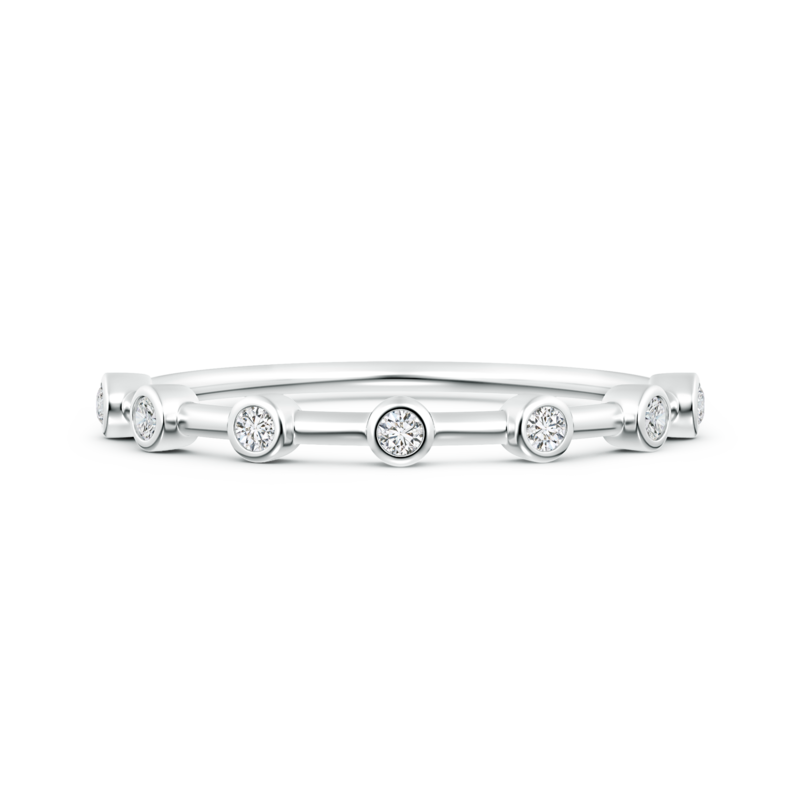 Eco-friendly diamonds and the alluring charm radiated by this stackable wedding ring together make it a prized possession.